Is your concealer problematic? Why hide dark eyes? Christina Aguilera made headlines with her au naturel look on the cover of Paper magazine. Scrolling through endless thumbnails and misleading headings I was excited at the prospect of an A-lister beauty queen taking a stand against the corrupt cosmetic industry by going make up free. However, I was sorely disappointed when I realised she was technically still wearing makeup. I found another clickbait article of ‘17 celebrities who perfected the ‘no makeup’ makeup look’ from revelist. It’s a low point in our selfie-conscious society when it is considered a deviation for women to paint their faces to resemble human beings instead of contoured barbie dolls. Though I applaud these women for taking such a ‘risk’ it highlights how makeup is still a necessity for what is considered natural beauty in western society. Low and behold at the end of said article was a video on the best way to cover dark circles underneath the eye. Then something clicked with me. Why? Why should I cover my dark circles? Scrolling back through the ‘no makeup’ makeup looks I noticed no dark circles. Even on celebs who wore no foundation. Of course, there is the argument that covering dark circles makes you appear less tired, more youthful (because women cannot age of course). However, I took this personally with my heritage into account. Dark circles are more prominent in deep set eyes – a common feature in Eastern European and Asian ethnicities. Furthermore, darker skin tones are more prone to hyperpigmentation underneath the eye. Dark circles are a perfectly natural feature within non-white demographics and I’ve hit the lottery coming from a Mediterranean, Asian, and Caribbean mixed background. So, is covering them up denying my heritage? Throughout history the eastern ‘other’ has been demonised and caricatured in western culture. From the thieving Romani gypsies in Victor Hugo’s cannon, to the overtly sexual ambiguous ‘oriental’ in any imperial gothic novel. Think Dracula. 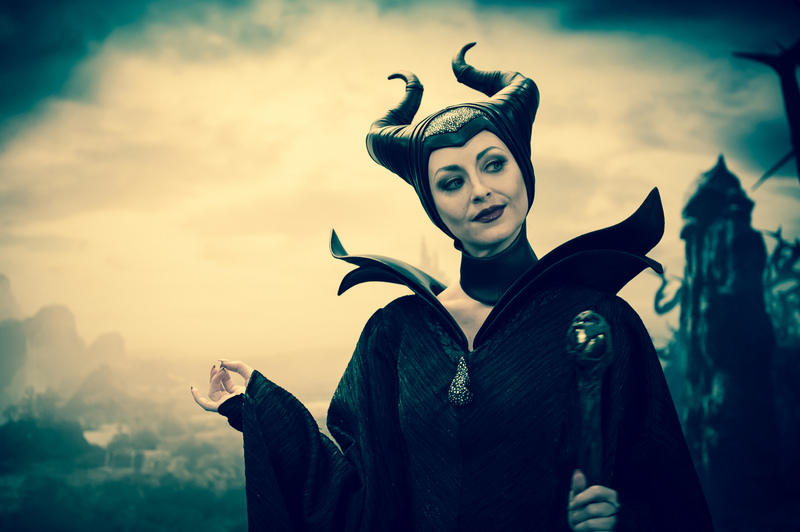 Think Disney villains that share features of high cheekbones and deep set shadowy eyes. Mother Gothel’s design was inspired by Cher. Maleficent is literally olive skinned. Rapunzel and Aurora, on the other hand, are blond-haired, bright-eyed epitomes of dainty ‘natural’ beauty. Women have been consistently told gentlemen prefer blonds and it is not just hair that is being bleached. Rihanna, Beyoncé, and even Precious star Gabourey Sidibe have been photoshopped to appear lighter. The issue of white-washing is a global crisis with the skin lighting industry being worth between £8 – 15 billion. So, is anything being done to promote natural, darker complexions? The Kim Kardashian look is in. The contoured illusion of high cheekbones is very sort after. I found it ironic when a blond school girl complained to the beautician that her henna eyebrows weren’t dark enough whilst I was getting my monobrow threaded. Even Kim’s look is not too ethnic – she admits to lasering her hairline. I’m not expecting her to go full Frieda Kahlo, but the fact that her baby hairs are considered a little too Armenian is very telling of the falseness of ‘real’ beauty trends. You can have thick eyebrows, but no baby hair. You can be tanned, but not too brown. You can be makeup free, but only through the ‘makeup free look’. Diversity campaigns tell women achieving confidence is their choice…of the products that these companies are pushing of course! I’m not anti-makeup. I wear foundation to cover my acne scars. Social acceptance is a basic human instinct. Many find esteem in fitting in with the hegemony. I take issue on how we talk about makeup. The very word ‘foundation’ implies it is a necessity in beauty to cover an uneven skin tone. We need to stop looking at makeup as an obligation but more as an artistry. Stop selling me skin tones – gimmie a crazy eyeshadow instead. Makeup can be utilised as a fashion statement, to express one’s identity as opposed to covering it up. I’d highly recommend this season of Ru Paul’s Drag Race. The contestants have made some particularly political makeup and costume choices on the runway – Aquaria’s oil slick mermaid fantasy comes to mind.